Have the tea leaves and tea ware ready. Pouring 212 F (ie 100 Celsius degrees) boiling water to wash and pre-warm the teapot and serving teacups. 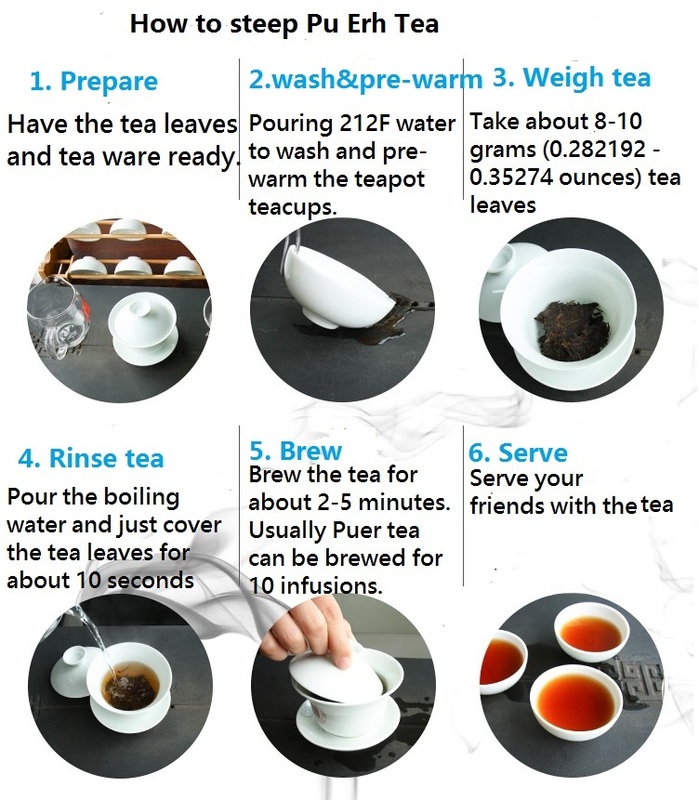 Pour the boiling water and just cover the tea leaves for about 10 seconds to wash and waking up your tea leaves. And discard the water. Pour about 90 – 100ml water into the standard Gaiwan. Brew the tea for about 2-5 minutes. Usually Puer tea can be brewed more than 10 infusions. brew pu erh tea. Bookmark.